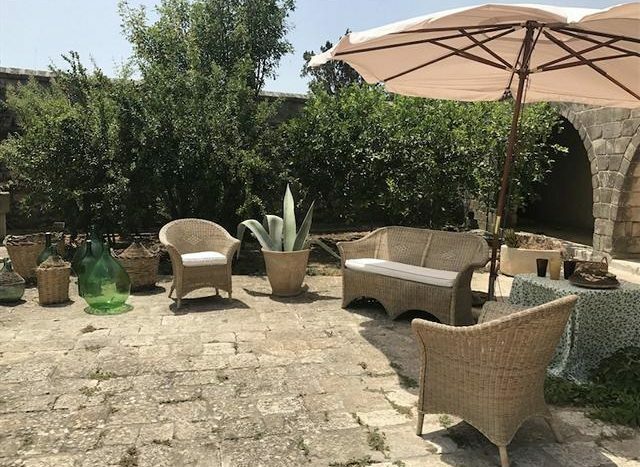 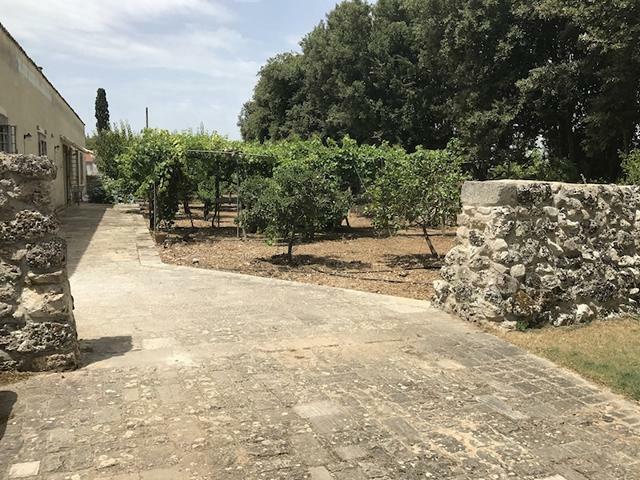 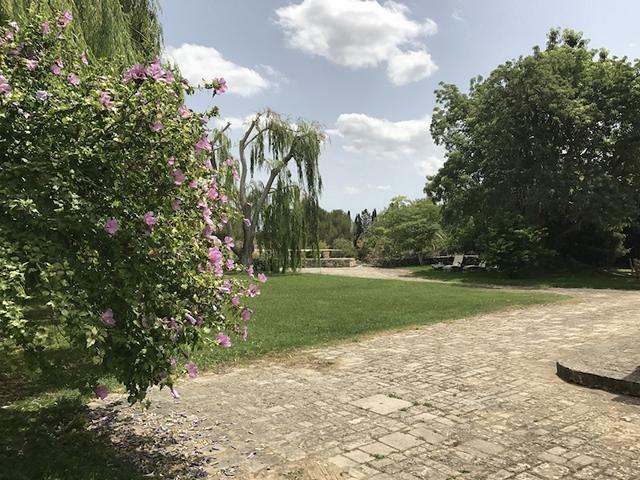 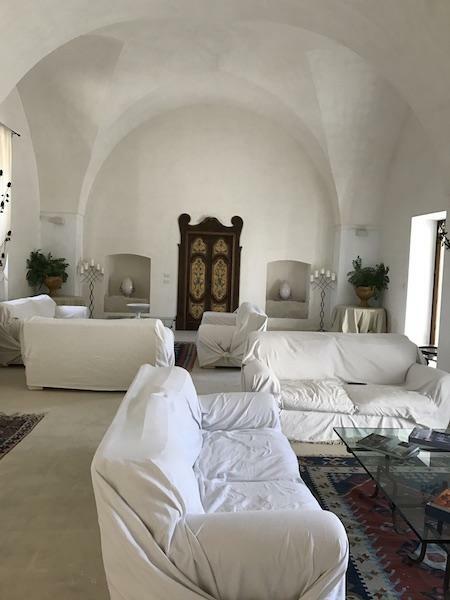 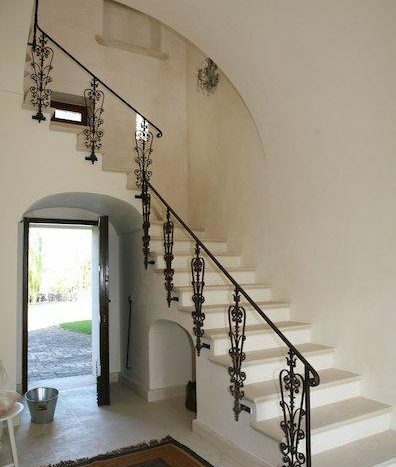 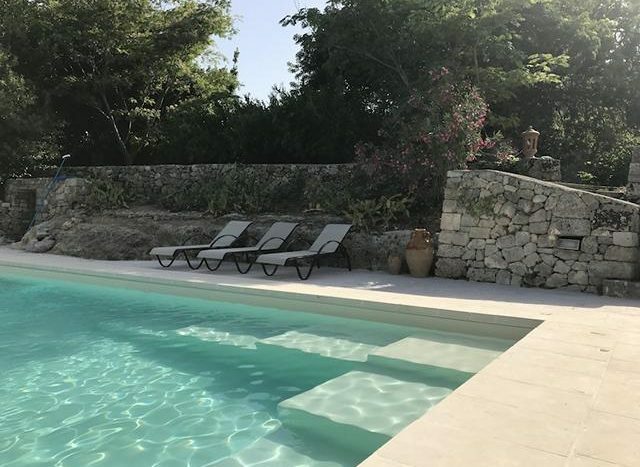 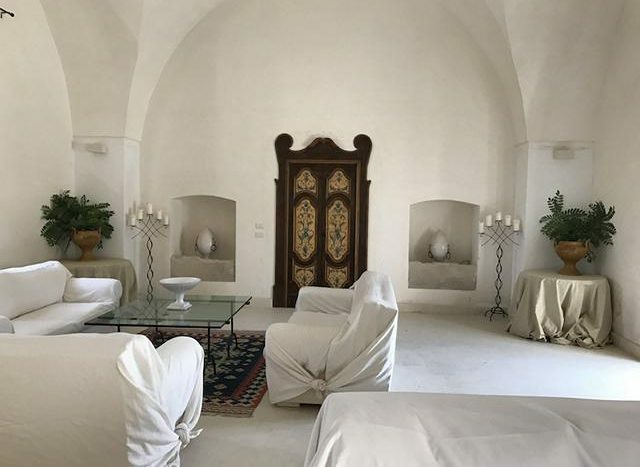 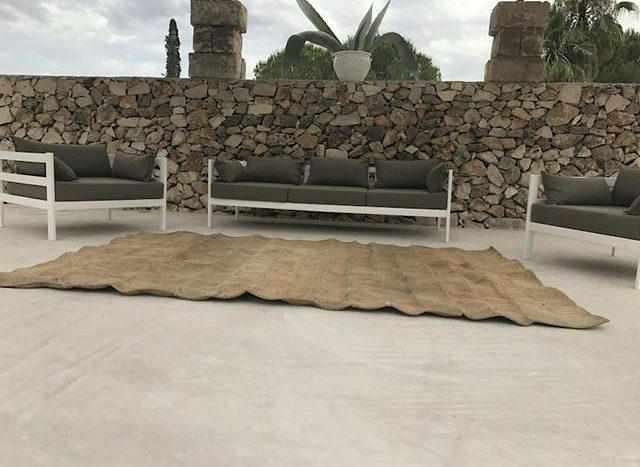 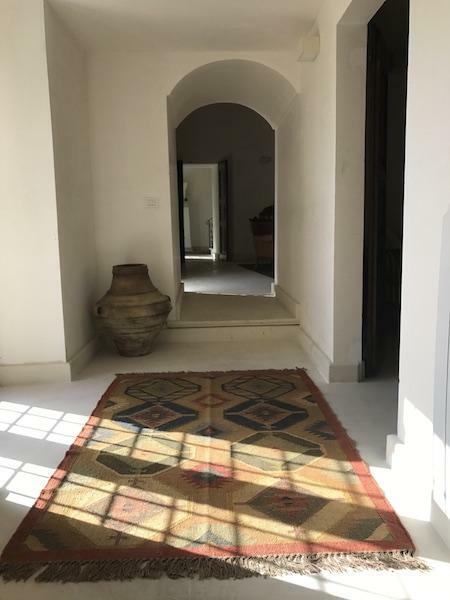 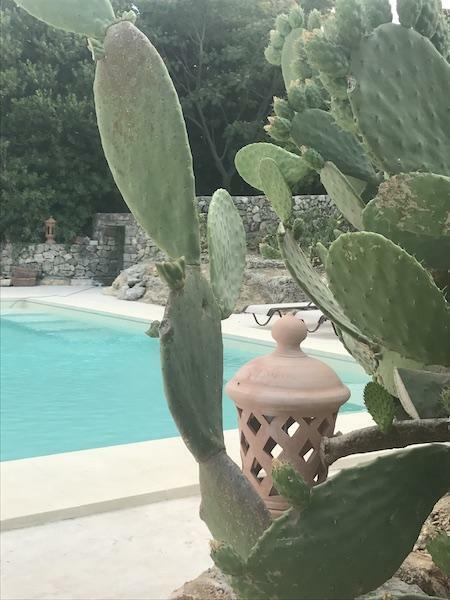 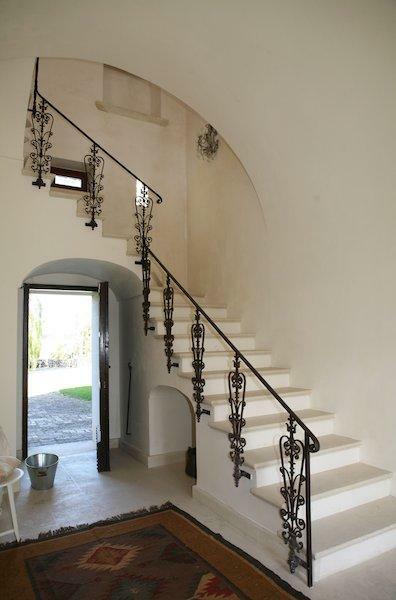 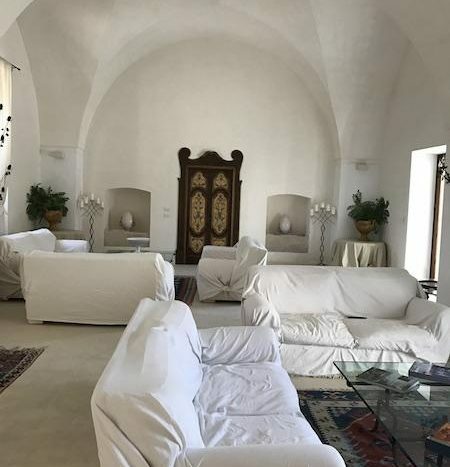 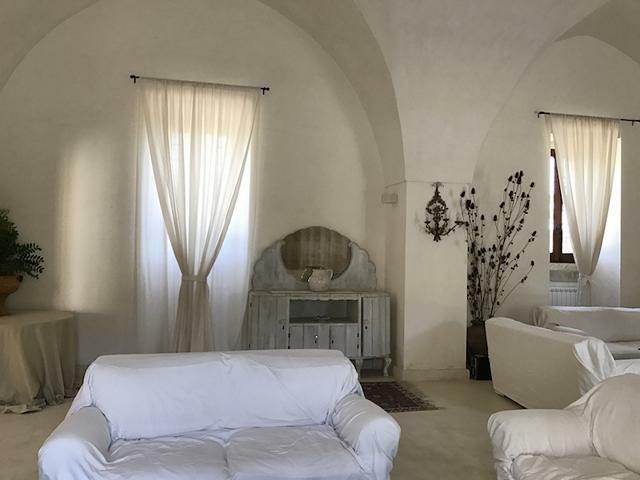 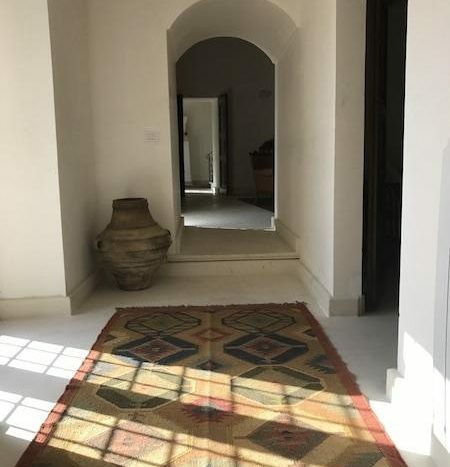 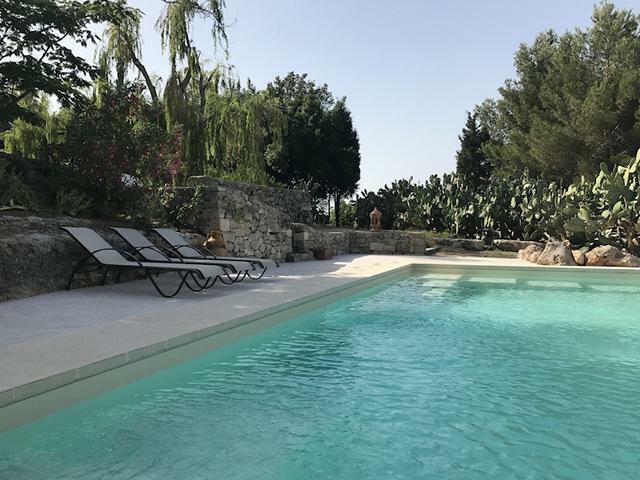 Beautiful and elegant Villa with pool, located on a large estate at the entrance to the city of Galatina and a few kms from the white beaches of Gallipoli. 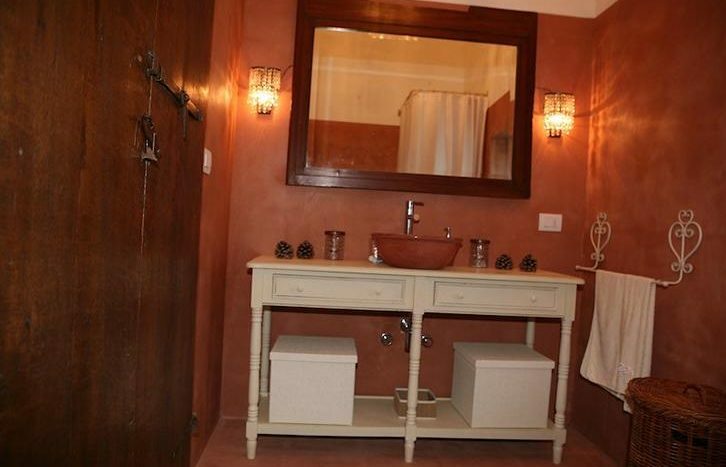 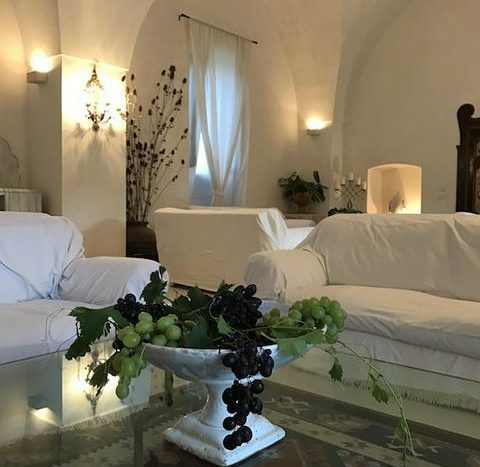 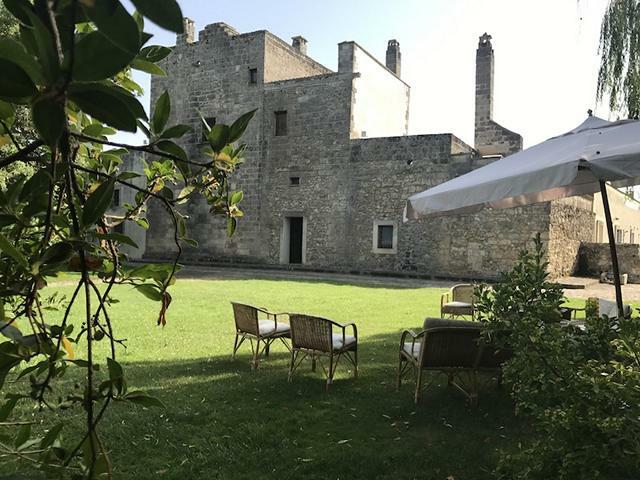 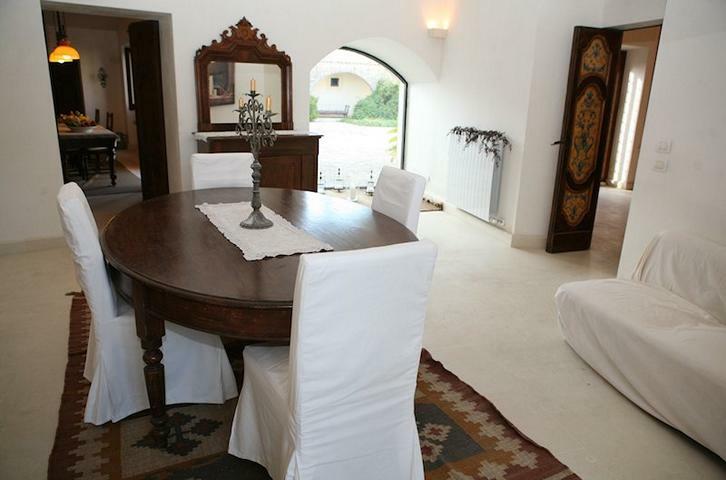 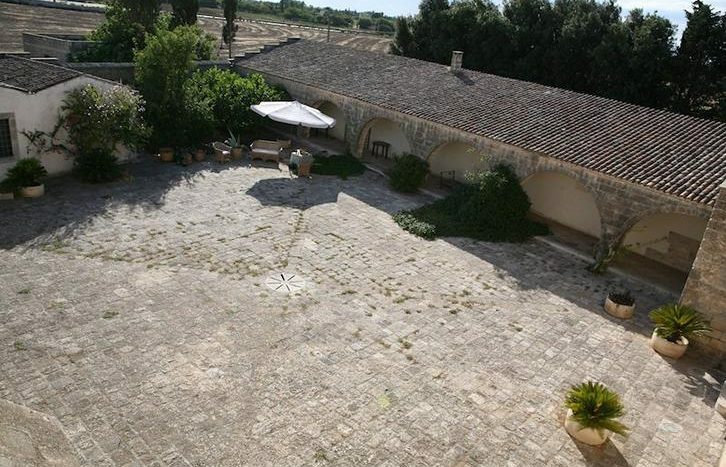 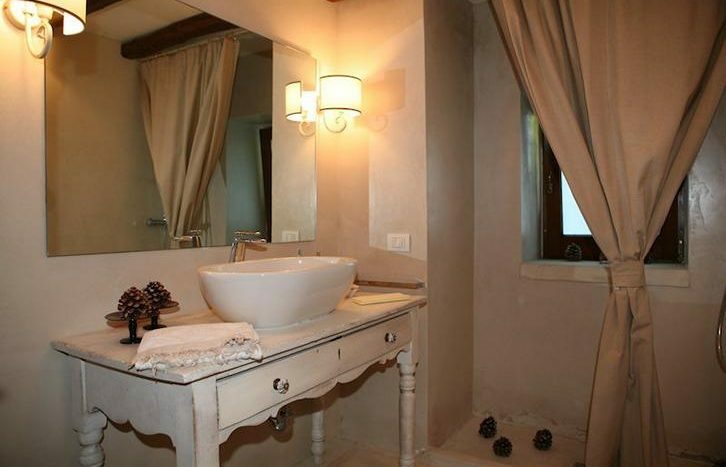 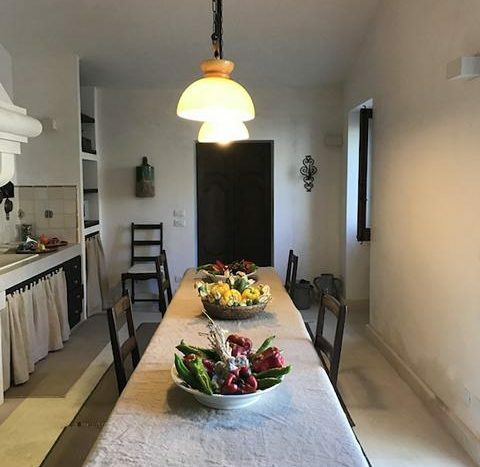 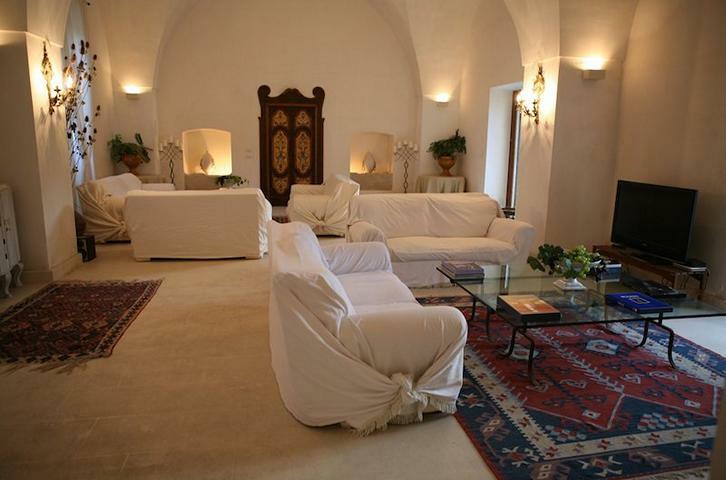 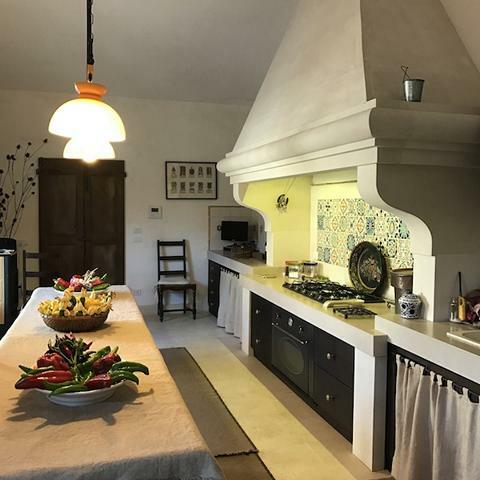 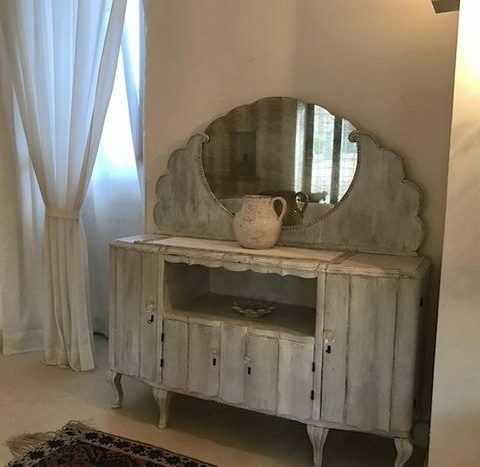 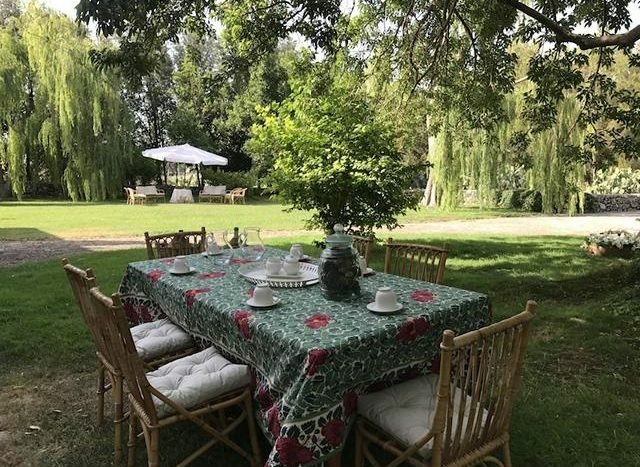 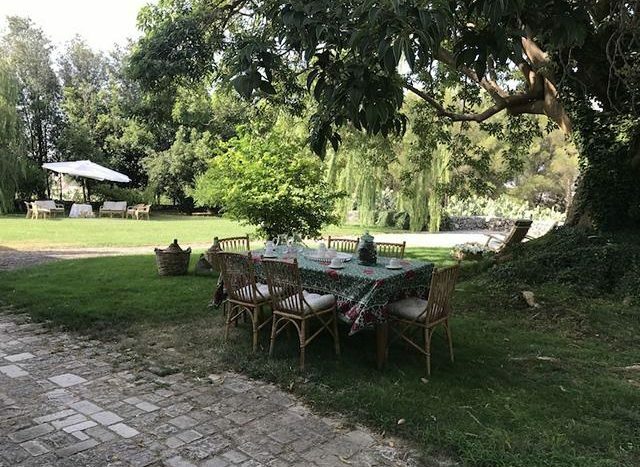 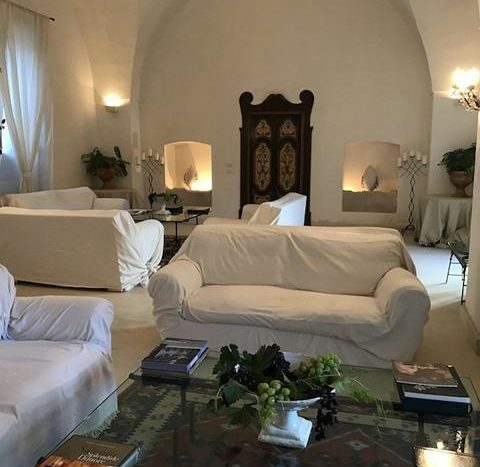 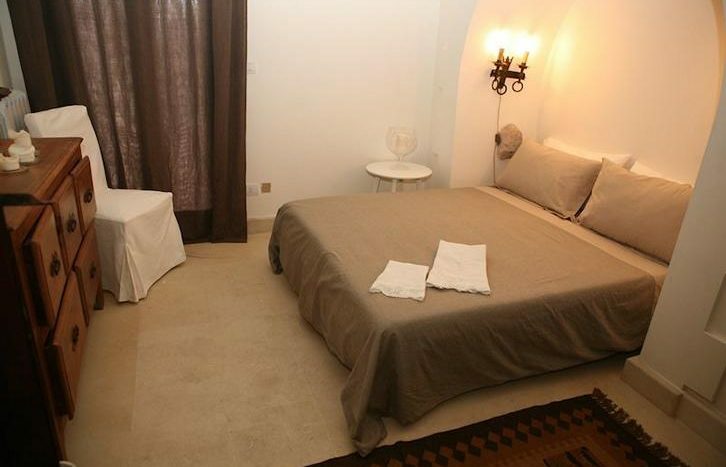 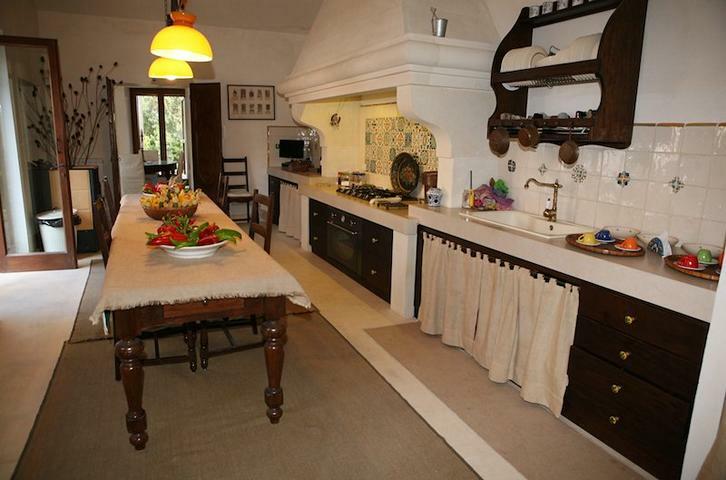 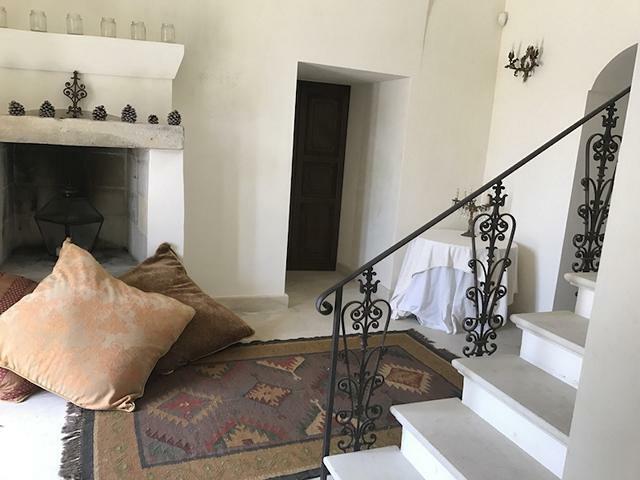 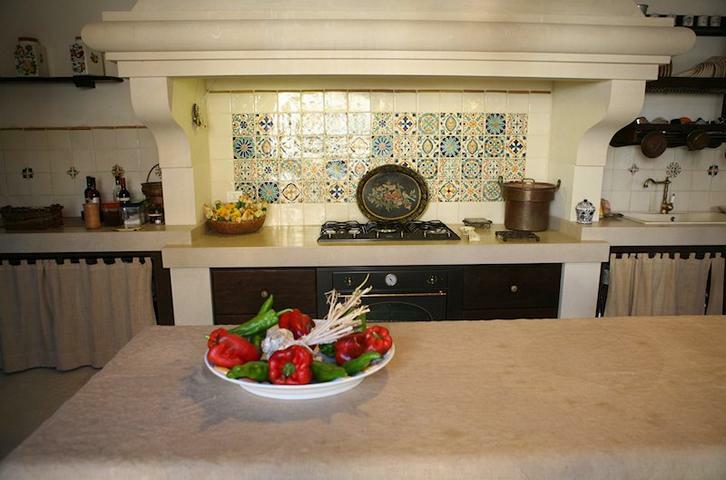 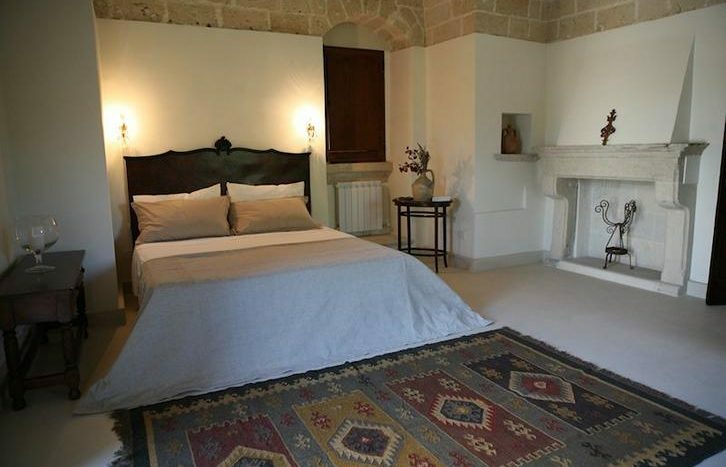 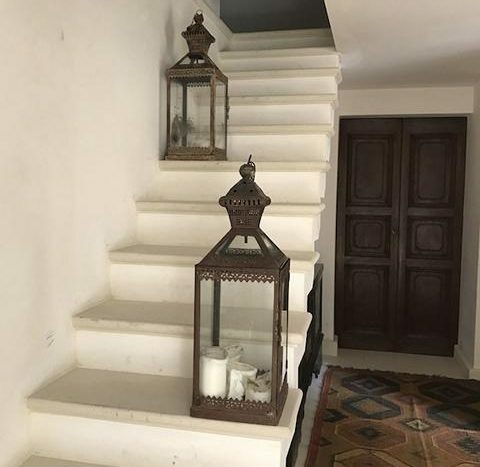 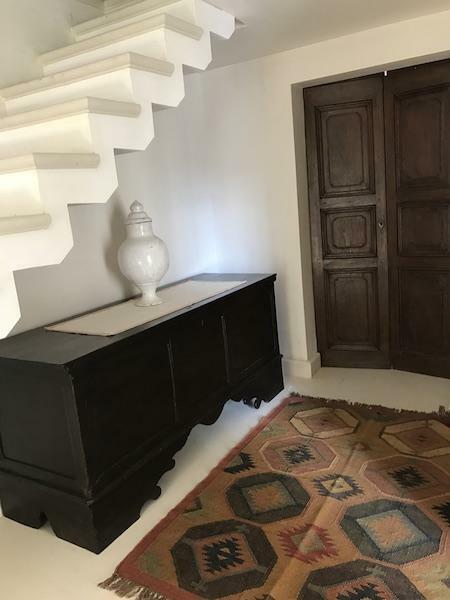 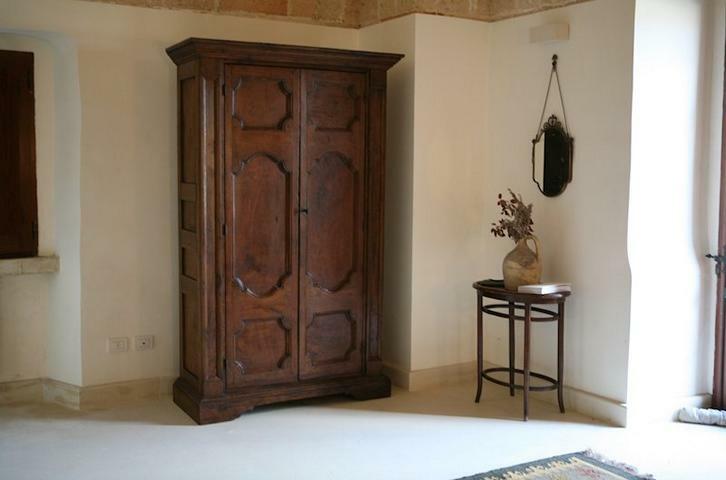 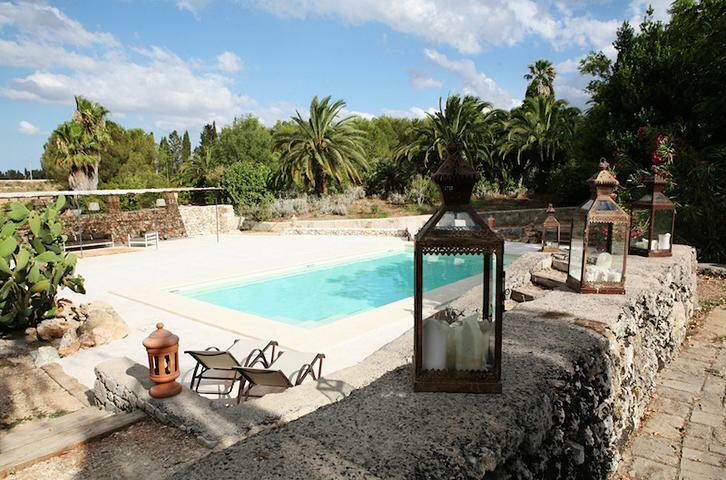 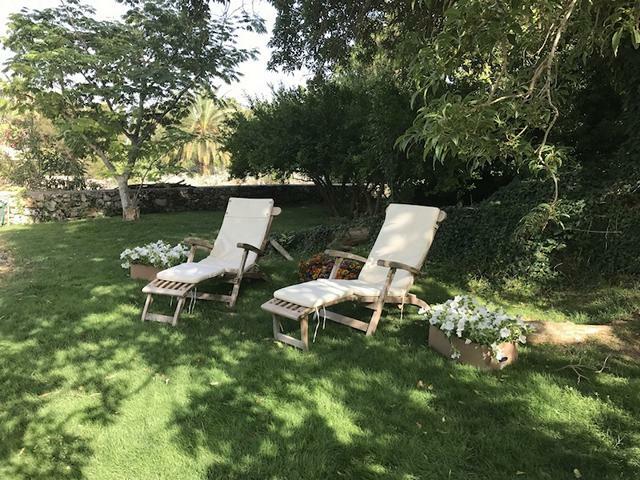 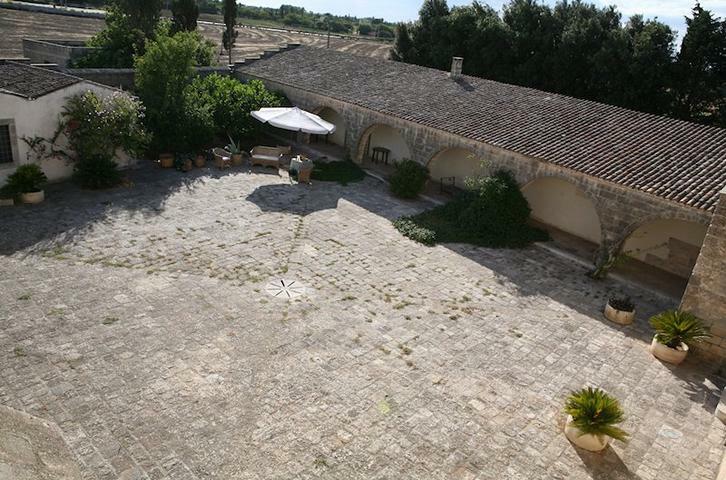 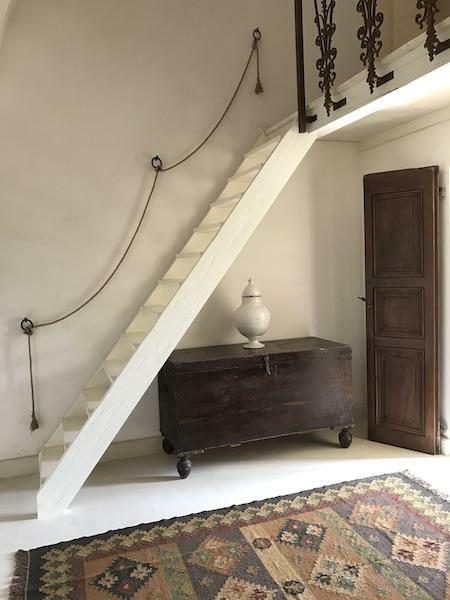 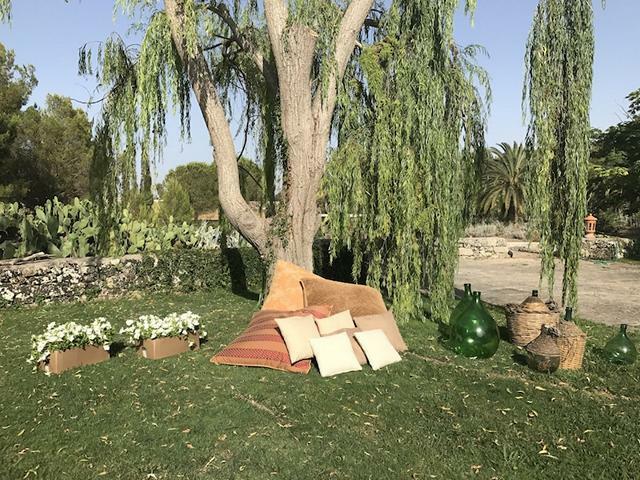 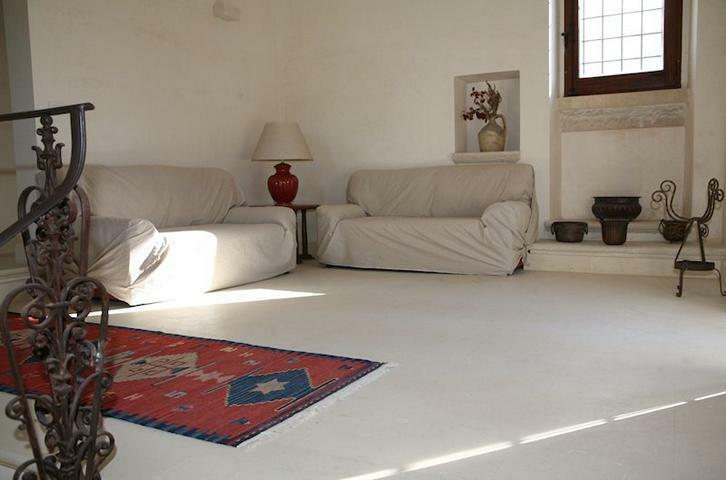 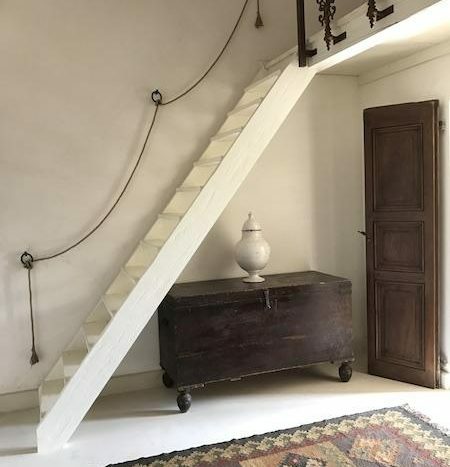 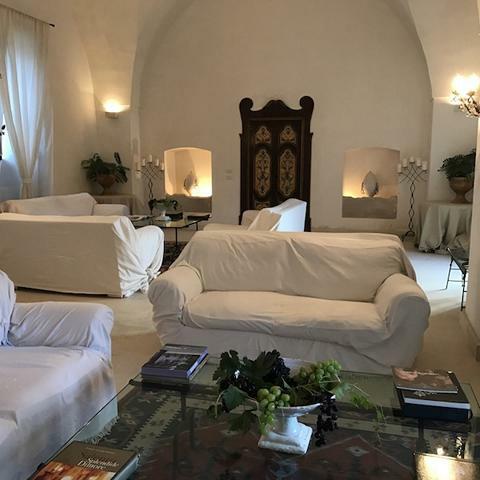 The holiday rental comprises several old buildings including a tower dating back to 1500 and a traditional courtyard build (‘casa a corte’) which itself dates back to the1800s. 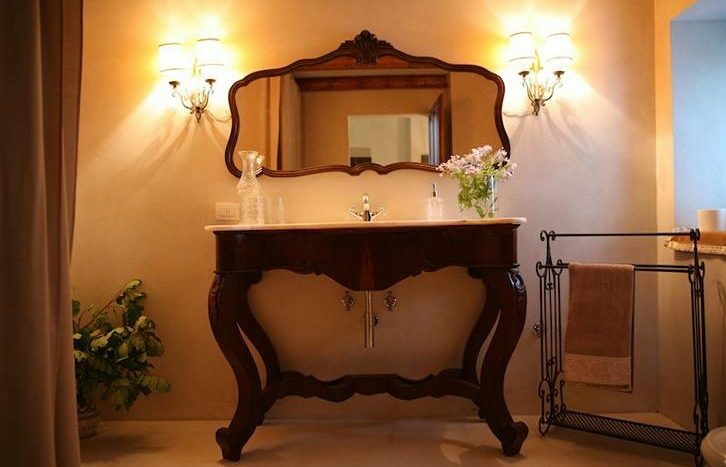 These have been entirely refurbished creating a delightful, bright and spacious setting, with a stylish mixture of antiques and shabby-chic furnishings respectful of the original elements as well as tradition, especially with regards to the color scheme, which is predominantly white and can be found in every room. 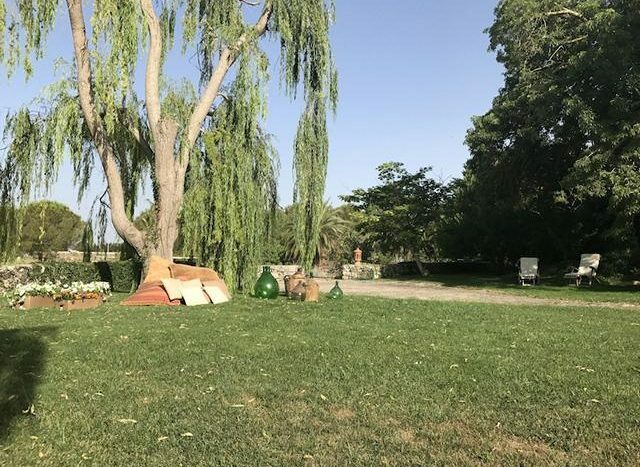 The cherry on the cake in this magical and timeless setting is without a doubt the beautifully and meticulously kept garden surrounding the buildings, filled with all sorts and varieties of trees, shrubs and plants, which allows you to explore and enjoy peaceful moments alone. 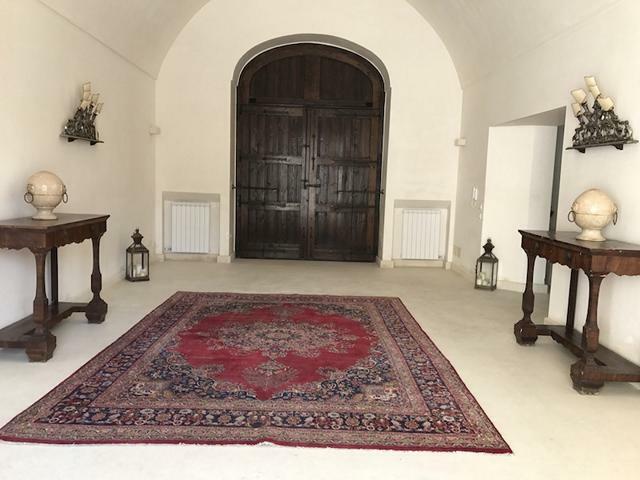 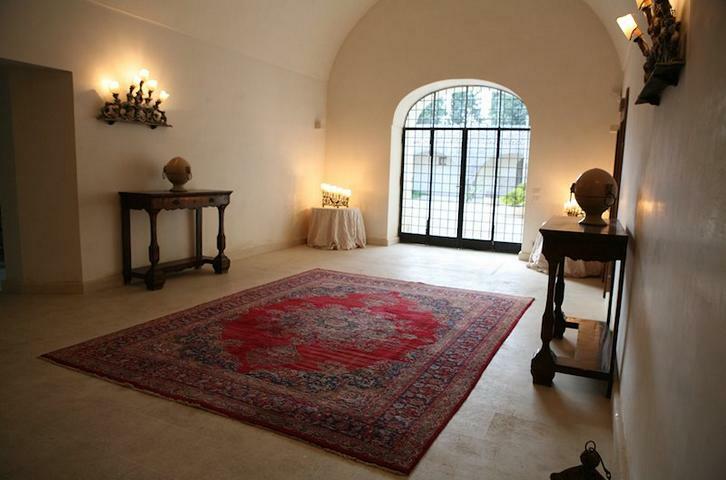 There is a spacious entrance with a large wooden door, which, on the left, gives access to the living area and on the right, the sleeping quarters. 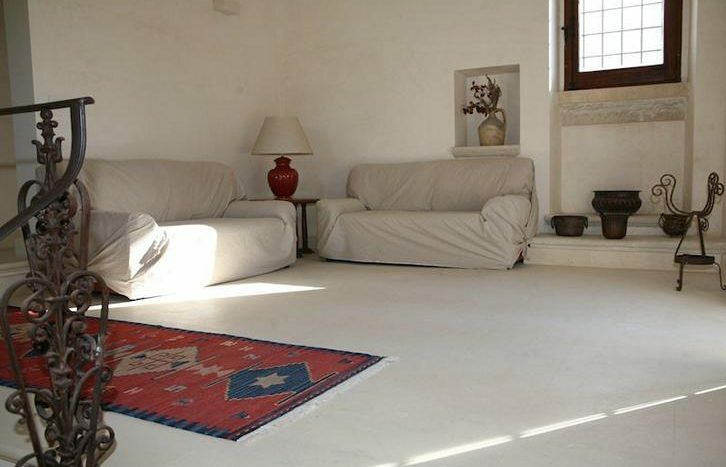 Living area: large living room, with couches and armchairs, fireplace, TV, bay windows giving out onto the inner courtyard and the garden, a small secondary entrance, dining room, spacious and fully equipped kitchen with access to the courtyard through full length patio doors, 1 bathroom and laundry area. 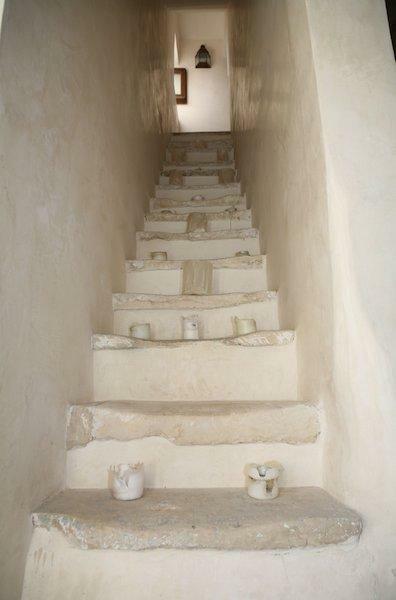 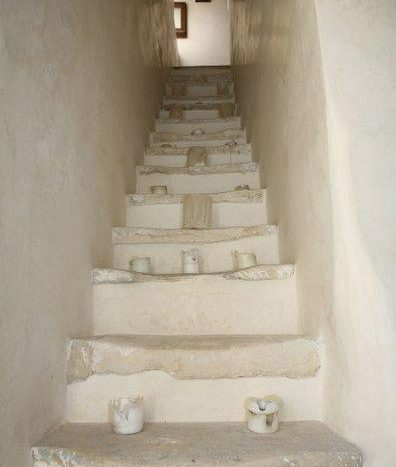 Sleeping quarters: 2 bedrooms with double beds, each with an ensuite shower/bathroom, a mezzanine with 2 single beds, 1 mezzanine room with a double bed, and an additional single bed if required, 1 bathroom/shower in the hallway, a stairway leading to the ‘Tower Suite’ on the first floor, which itself includes a living area with couches and full length windows opening onto a large panoramic terrace, one large and bright double bedroom (please note: the bathroom for this bedroom is on the ground floor at the foot of the staircase). 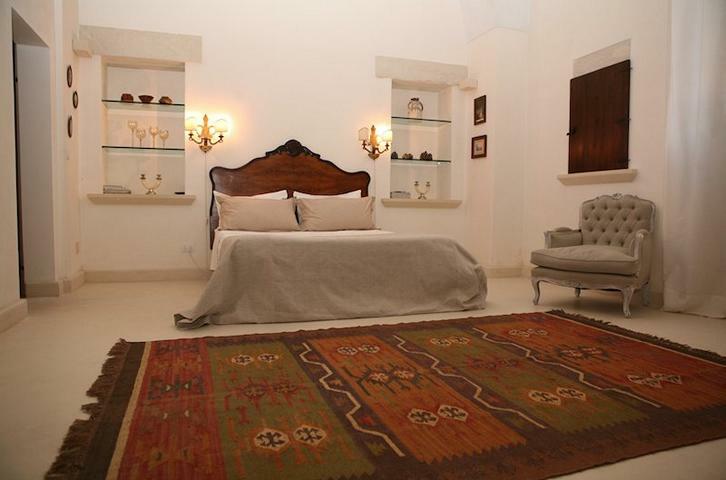 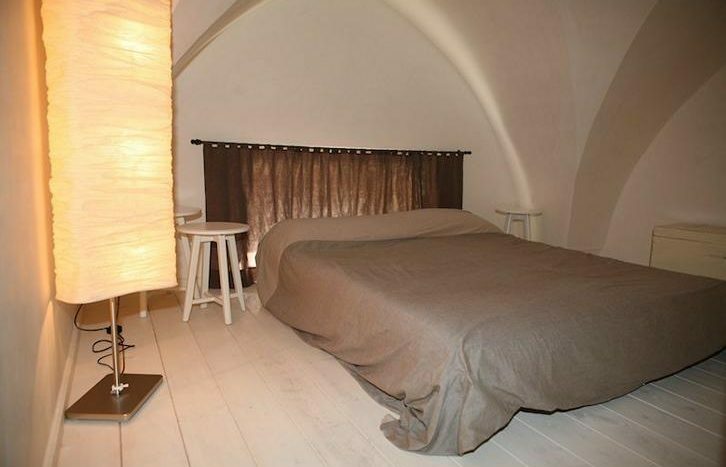 Each bedroom is air-conditioned. The inner courtyard is the shape of a square, and has sun-umbrellas, tables and chairs for 12 people; ideal for lunches and dinners outside. There is a relaxation area with wicker chairs; a pool 11×5.5m (1.2m deep) with a natural design and recently installed in one part of the estate, surrounded by a solarium area with deck chairs, lounge chairs, and a gazebo with couches and cushions and armchairs; a large estate, part of which has been preserved in its original form, whilst the other part, closer to the house, is a large partly terraced garden with flowers, trees, and plants that are typical of the Mediterranean coastal region. EQUIPPED WITH: washing machine, microwave, kitchen aid and mixer, stereo system, WiFi, 2 TVs, BBQ, fans in the bedrooms, mosquito screens, 2 bikes. 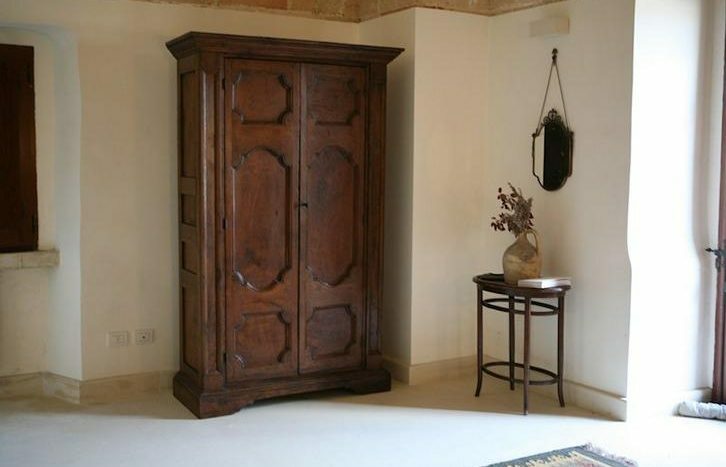 The farmhouse has air conditioning in every bedroom. 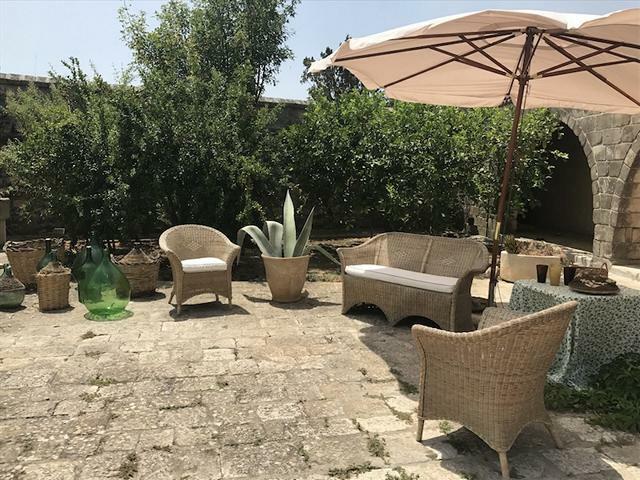 The beautiful Southern region of Puglia is famous for its sandy beaches, clear sea water and fascinating Baroque cities like Lecce, known as the Florence of the South. The estate is located near the beach of Tricase, that extends from Otranto to the southernmost point of Puglia, Santa Maria di Leuca. 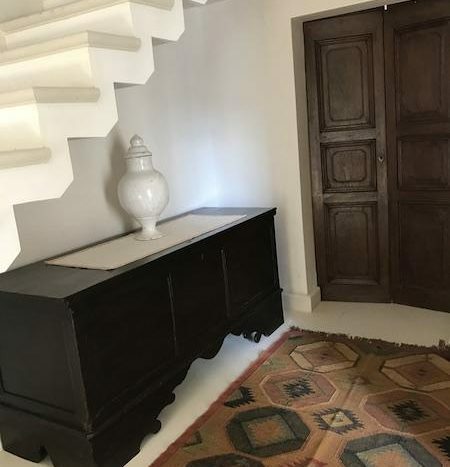 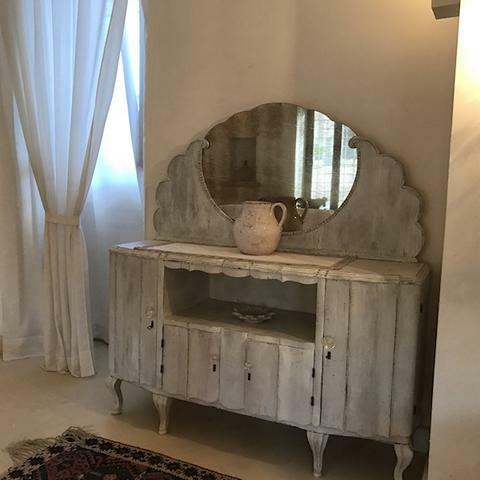 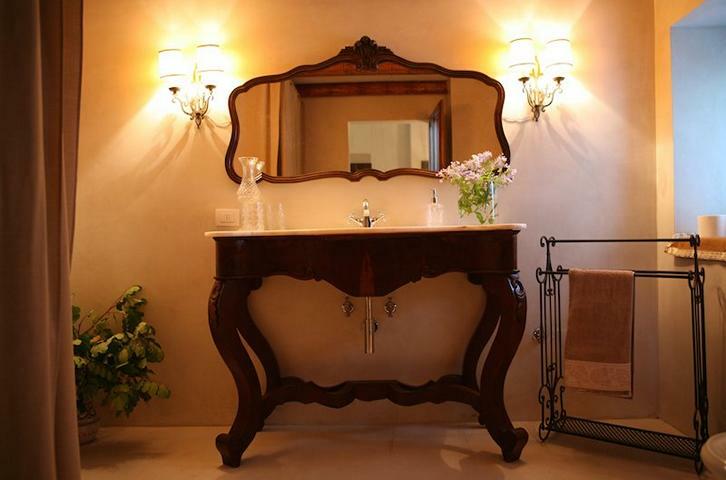 Price includes: bed linen and towels, pool towels, all utilities, WiFi internet, cleaning twice a week (cleaning is to be considered a reorganization of the rooms and bathrooms). Extra cost: € 200 for final cleaning; any additional cleaning or cooking services at € 10 per hour (excluding food). 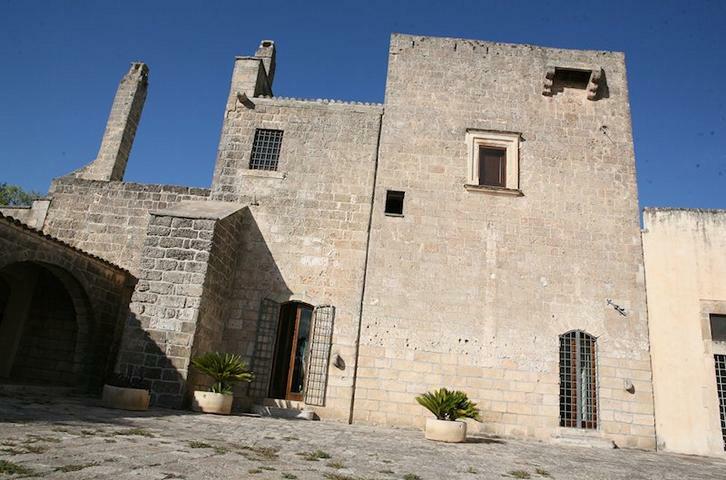 Possibility to organize boat trips, baby sitting service, availability of gluten-free products. 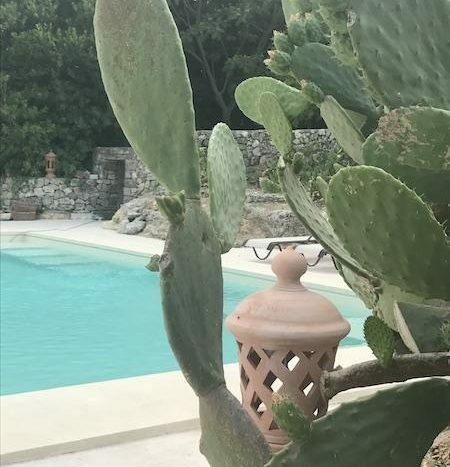 Pets allowed on request.